Amsterdam, the Netherlands and Armonk, N.Y., USA - July 28, 2016 - VU University Medical Center Amsterdam in the Netherlands today announced it is teaming with IBM (NYSE: IBM) to deploy analytics-driven IBM MobileFirst for iOS apps, designed to better coordinate and communicate data across healthcare teams. The Message for Healthcare app will be the first of a suite of IBM MobileFirst for iOS apps that VU University Medical Center Amsterdam will implement to help improve collaboration between members of their healthcare teams. IBM MobileFirst for iOS apps transform how healthcare employees manage their work as they care for patients, putting critical data at their fingertips in a security-rich mobile environment. With a sleek, easy-to-use interface and functionality powered by analytics, Message for Healthcare is designed to help VU University Medical Center Amsterdam staff using iPhone communicate more effectively, to help improve their responsiveness to patients. Fast, accurate collaboration between members of a healthcare team is critical to providing the best patient care. 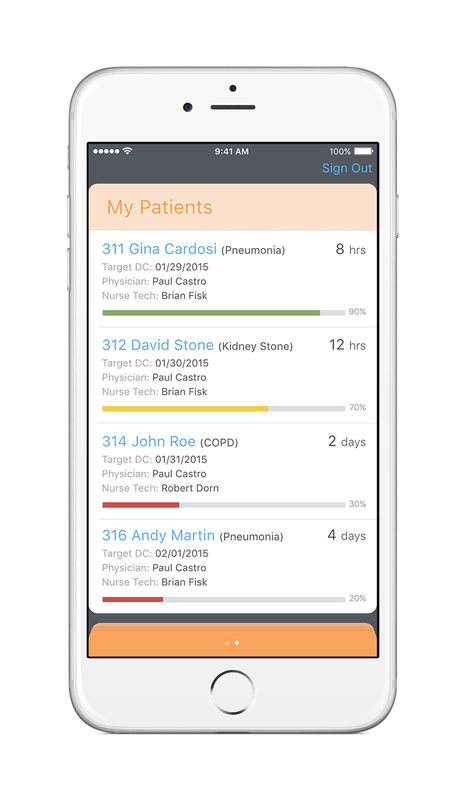 With Message for Healthcare, doctors, nurses and care providers can easily and securely exchange sensitive patient information on iPhone, iPad and Apple Watch. VU University Medical Center Amsterdam in the Netherlands today announced it is teaming with IBM (NYSE: IBM) to deploy analytics-driven IBM MobileFirst for iOS apps, designed to better coordinate and communicate data across healthcare teams. Industry regulations, however, have prevented teams from using the most efficient digital messaging tools - leaving some to resort to using everyday apps that aren’t regulatory-compliant. Message for Healthcare offers familiar text, voice and video message functionality, and intuitive iOS user experience, with the assurance that all messages are HIPAA-compliant. VU University Medical Center Amsterdam got rated as the best academic medical center in The Netherlands in terms of patient care, education and research. ‘’As a University hospital with a strong emphasis on research and education, VU University Medical Center Amsterdam has always had a natural focus on stimulating innovation and spreading new technologies and methods,” said Wouter Bos, chairman VU University Medical Center Amsterdam. 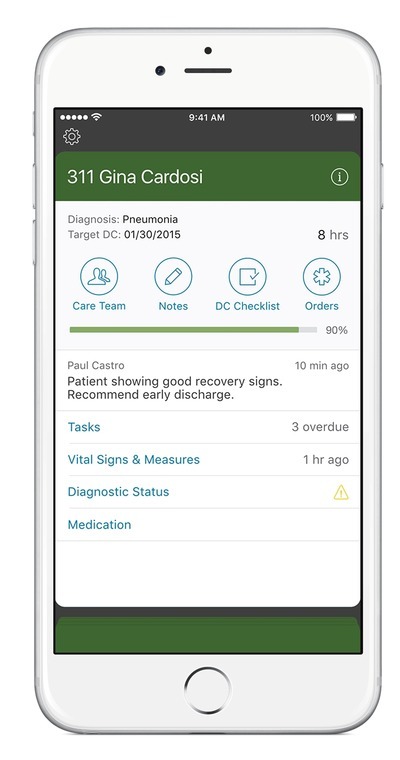 IBM MobileFirst for iOS apps transform how healthcare employees manage their work as they care for patients, putting critical data at their fingertips in a security-rich mobile environment. With a sleek, easy-to-use interface and functionality powered by analytics, Message for Healthcare is designed to help VU University Medical Center Amsterdam staff using iPhone communicate more effectively, to help improve their responsiveness to patients. 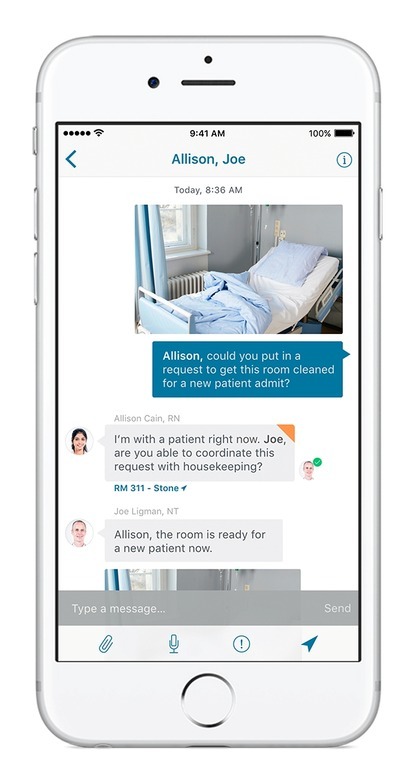 • Hospital RN: keeps nurses and care teams continually connected, while allowing nurses to tap into critical patient information from integrated systems of record the moment it’s needed for more efficient care delivery. “IBM is working closely with organizations to design and deploy made-for-business apps to lead their digital transformation,” said Mahmoud Naghshineh, general manager, Apple partnership, IBM. The way we live has been undeniably transformed by mobile technology. Now, it’s time to transform the way we work. IBM MobileFirst for iOS solutions combines the power of enterprise data and analytics with an elegant user experience, to fundamentally redefine how enterprises empower their professionals to interact, learn, connect, and perform. VU Medical Center is adopting a suite of IBM MobileFirst for iOS healthcare apps to enhance collaboration among its medical staff. Message for Healthcare will be the first app the Dutch healthcare organization will roll out to its employees. VU University Medical Center is the university hospital affiliated with the VU University Amsterdam. VU Medical Center is using IBM MobileFirst for iOS apps to simplify how staff share information to help improve their responsiveness to patients. The Dutch healthcare organization plans to deploy four healthcare apps from IBM, including Hospital RN, shown here, as well as Hospital Lead, Hospital MD and Message for Healthcare. At the end of this year the planned merger between the two university hospitals in the city of Amsterdam will build the largest hospital in The Netherlands, containing 1.730 beds, 15.000 employees and a turnover of $1.7bn. IBM MobileFirst for iOS apps will put real-time patient information in the hands of VU Medical Center staff, enabling to better coordination and more effective communication so they can improve responsiveness to patients. VU Medical Center, the leading Dutch healthcare organization, is transforming how its staff does their jobs by putting real-time patient data and analytics in the palm of their hands. 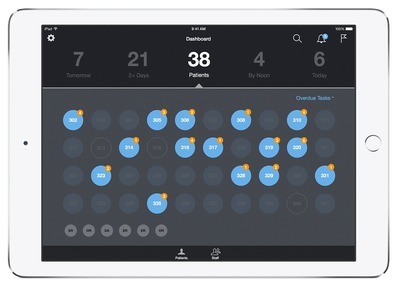 VUmc will adopt a suite of IBM MobileFirst for iOS apps, including Hospital Lead, shown here.